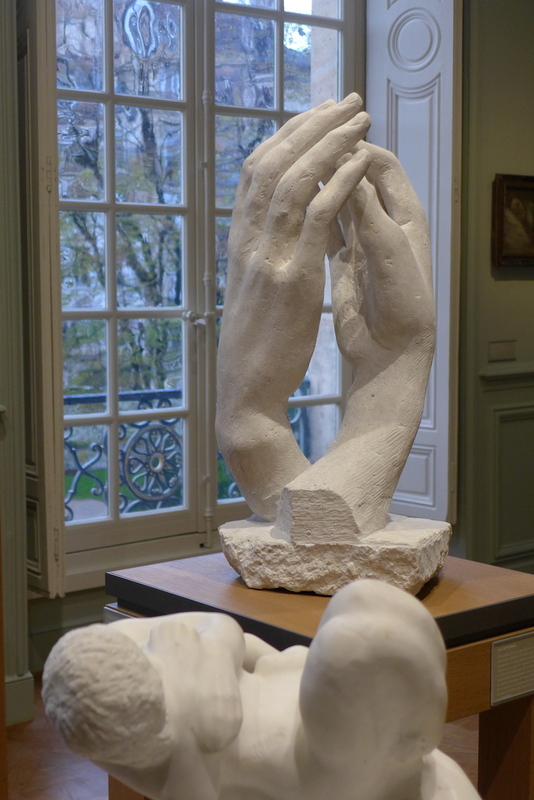 Auguste Rodin (1840-1917) used to work and to live there from 1908. 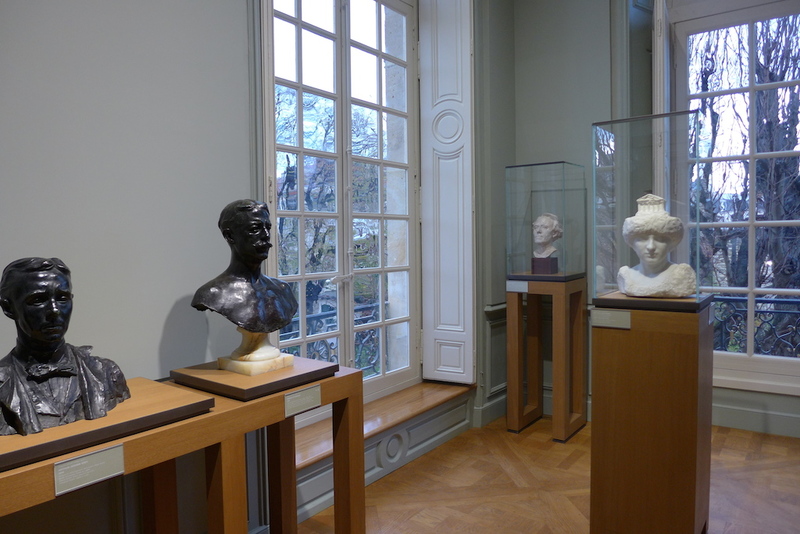 In 1911 he gave the State all his works and his collections of antiquities provided that he could live in the Hôtel Biron until his death and that the State would keep all these collections there after his death converting the Hôtel Biron into the Musée Rodin. 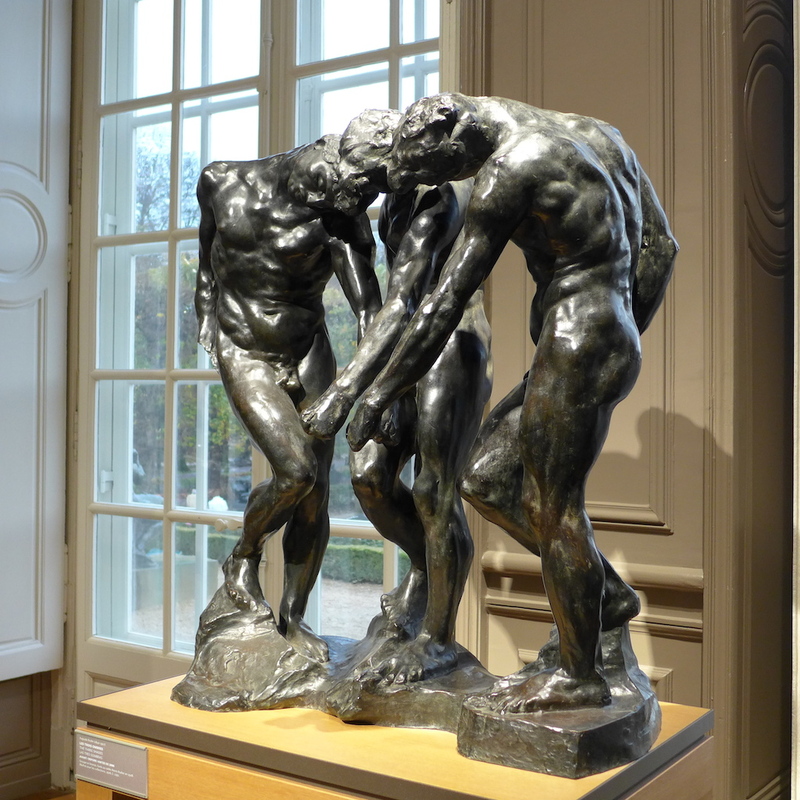 Those donations were accepted by the French Parliament in 1916, one year before the artist’s death and the Musée Rodin was inaugurated in 1919. 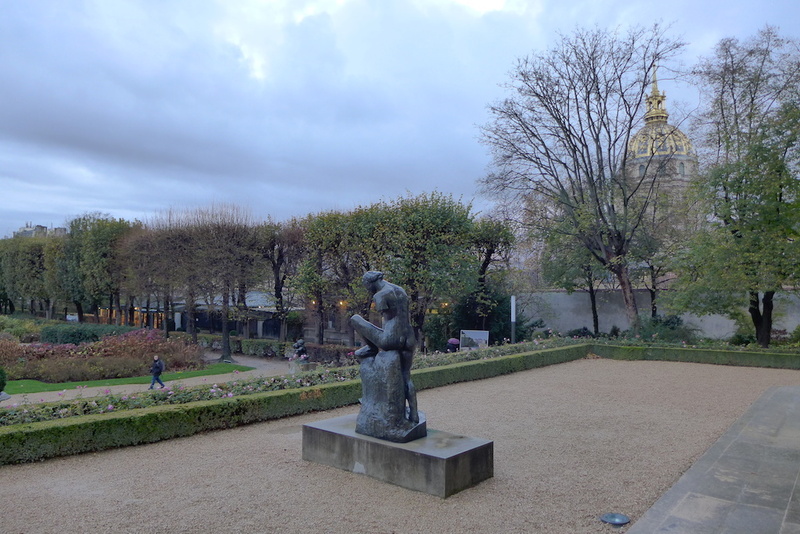 The visit is centered around three main spaces: a temporary exhibition in a modern wing on the groundfloor, the permanent collections in the Hôtel Biron, and the sculptures scattered all over the park. 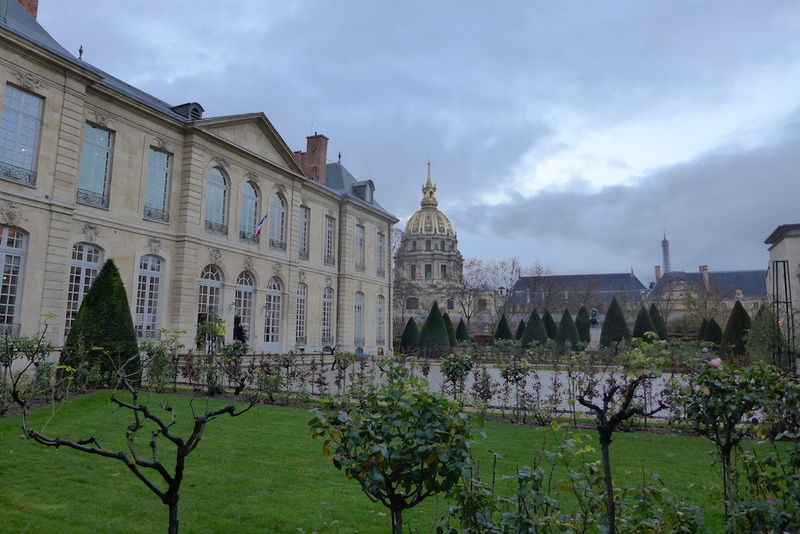 I have not been very interested in the temporary exhibition and would rather recommend to favour the permanent collections on the two floors of the Hôtel Biron and the sculpures’ garden: there is already so much to see! 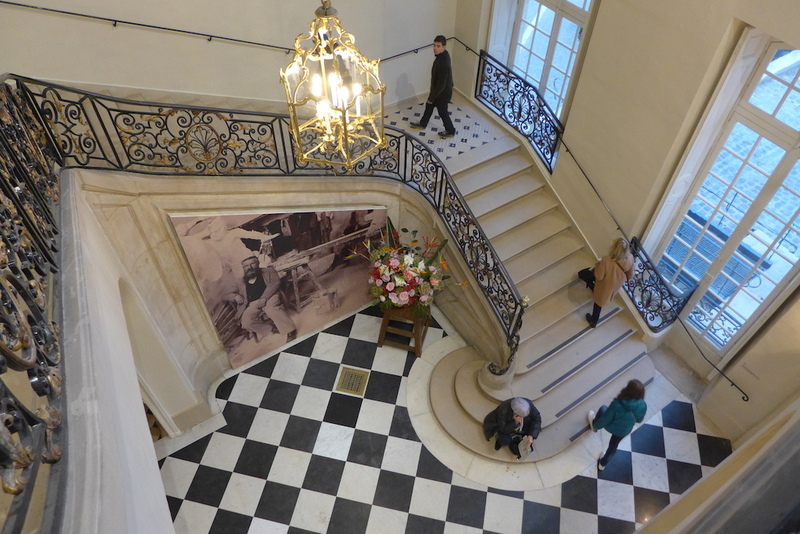 Thanks to the restoration the wooden floor, the woodworks and the mirrors are superb. 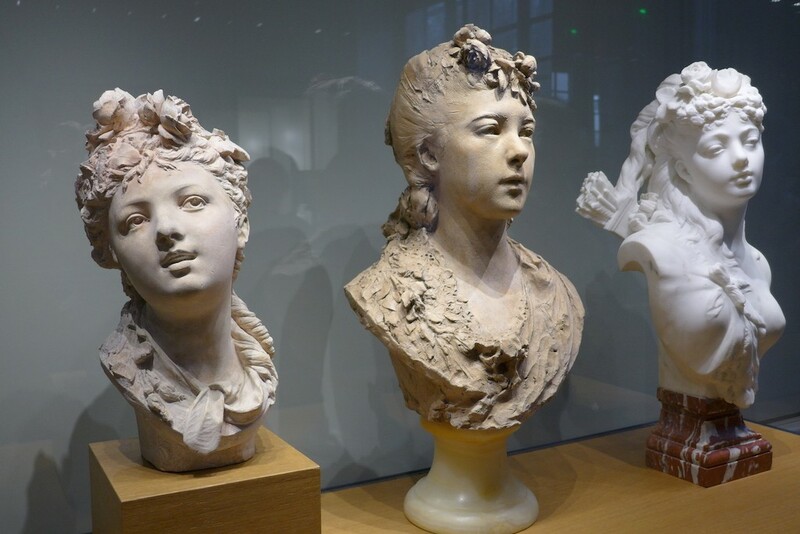 The works of art are now exhibited on new display furniture a bit like in an artist studio and extremely well emphasized by walls painted in grey and by a remarkable lighting with LED lamps. Really worth it! 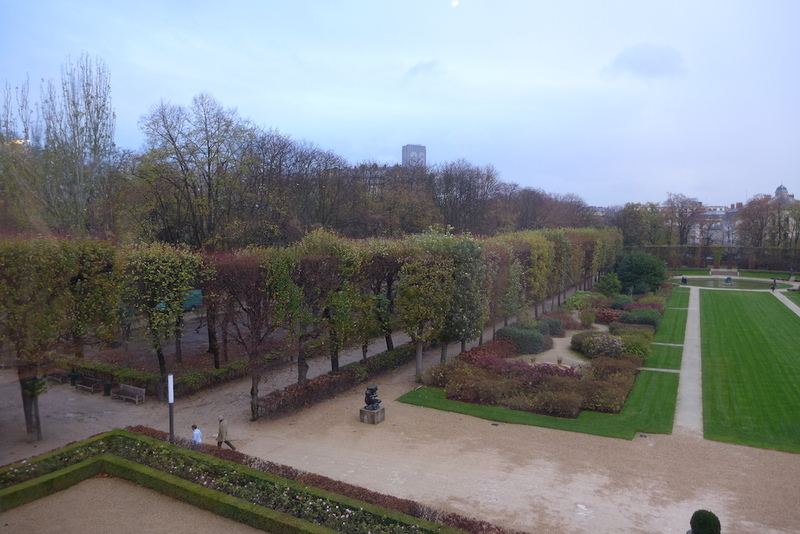 The journey is mainly chronological with the addition of some thematic rooms. 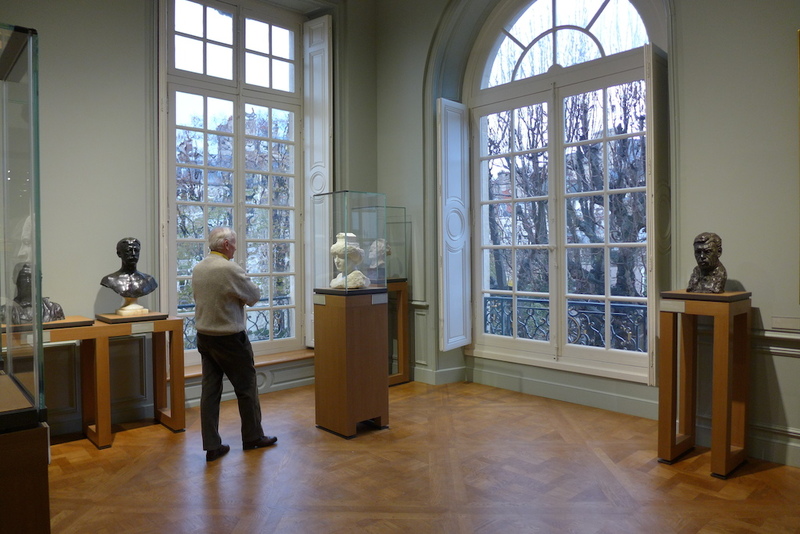 Among them my favourite room: the new room dedicated to Camille Claudel’s sculptures: absolutely wonderful! 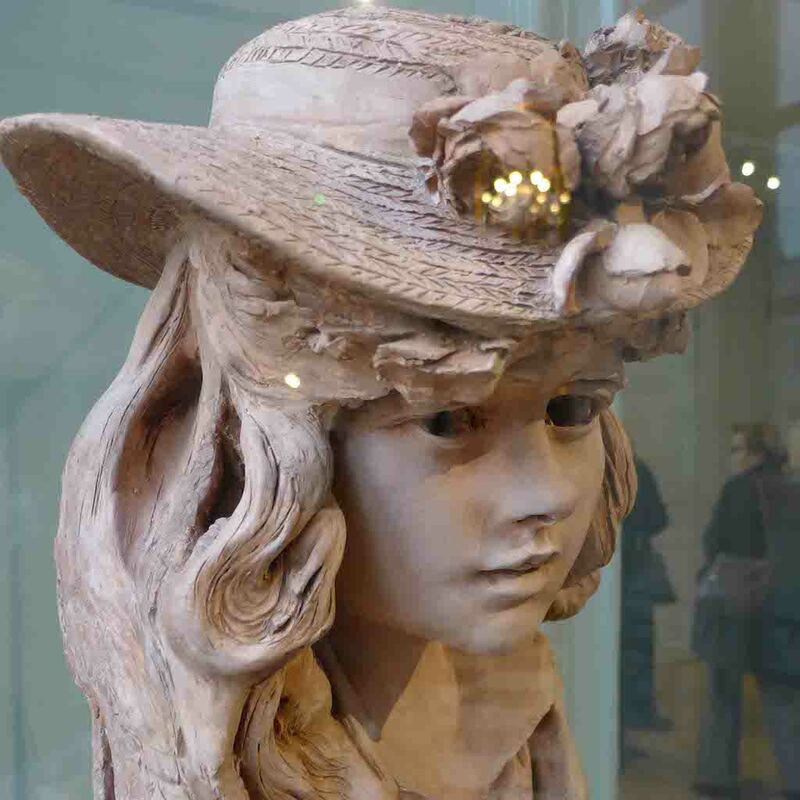 I could not take a successful picture of my favourite sculpture, the Wave by Camille Claudel, because of too many reflections and let you discover it on site… But here are some other masterpieces that I like. 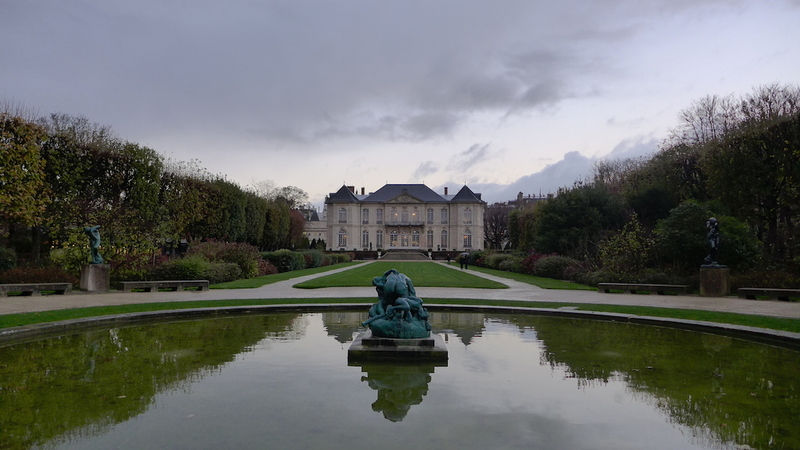 One cannot leave the Musée Rodin without walking around its three-hectare park and one can spend there as much time as visiting the inside. 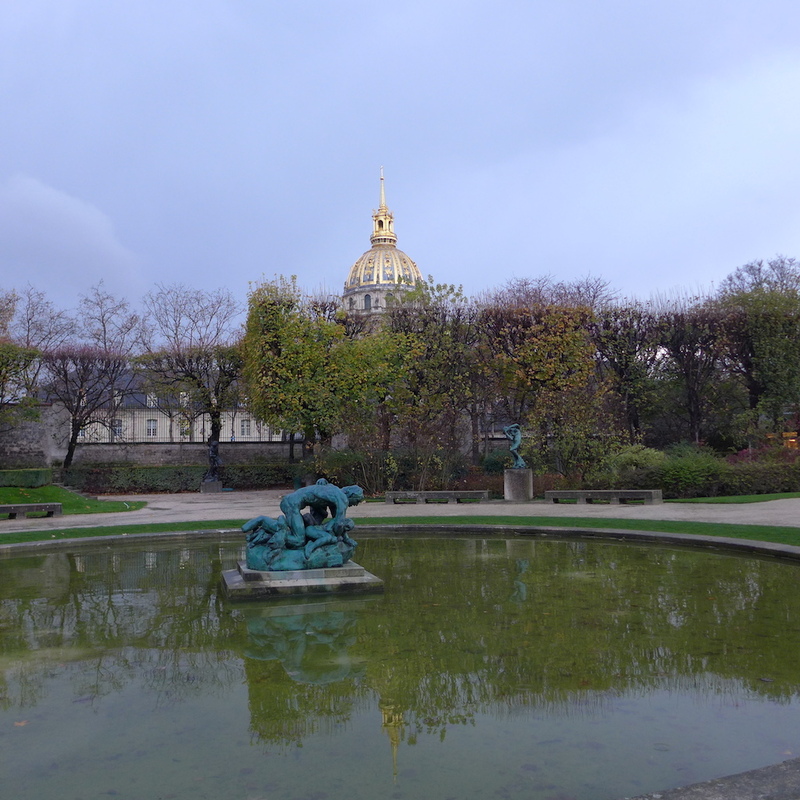 I love this park for its very special romantic atmosphere, for the beautiful views it offers on the front of the Hôtel Biron, but also on the Invalides and Eiffel Tower, and not to mention the masterpieces scattered here and there: the three shades, the muse Whistler, Orpheus,… and the beautiful marble gallery. 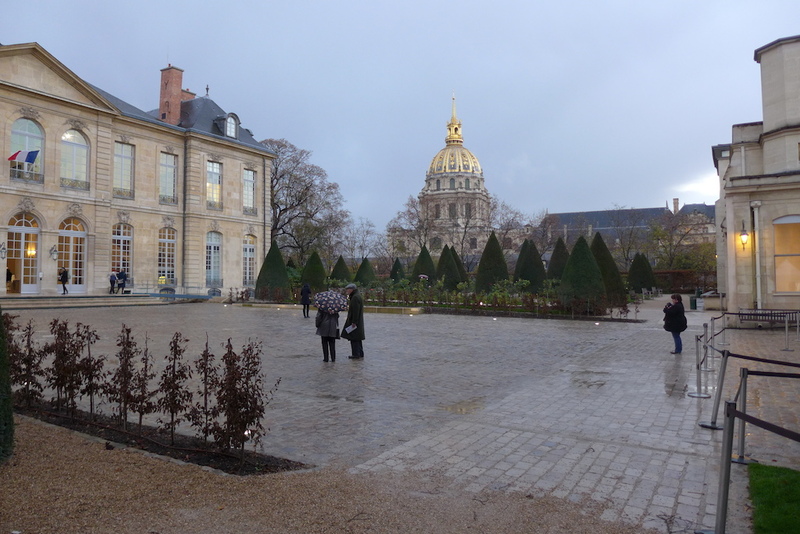 And no matter if the weather is gray, the atmosphere of the garden will be even more romantic and the walk suitable for daydream: A haven of peace far from the modern bubbling city! 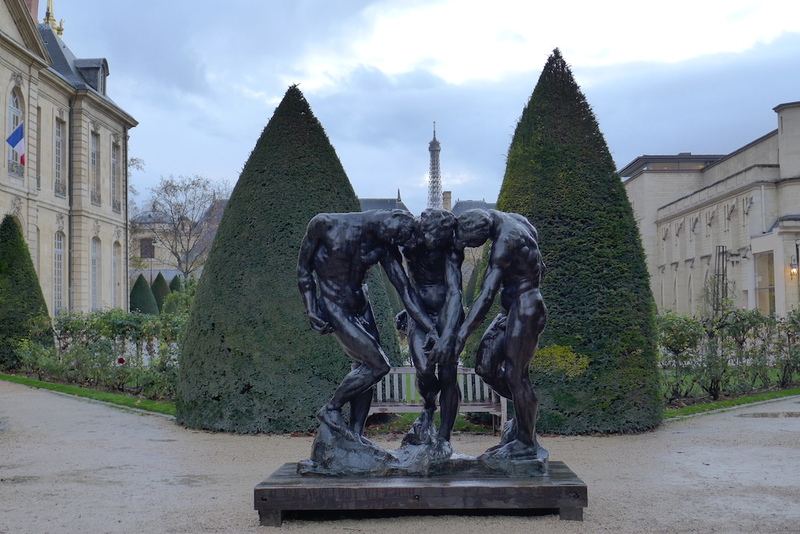 To make the most of your visit you have better come either early morning, late afternoon, at lunchtime or (even better) on Wednesday after 6pm. 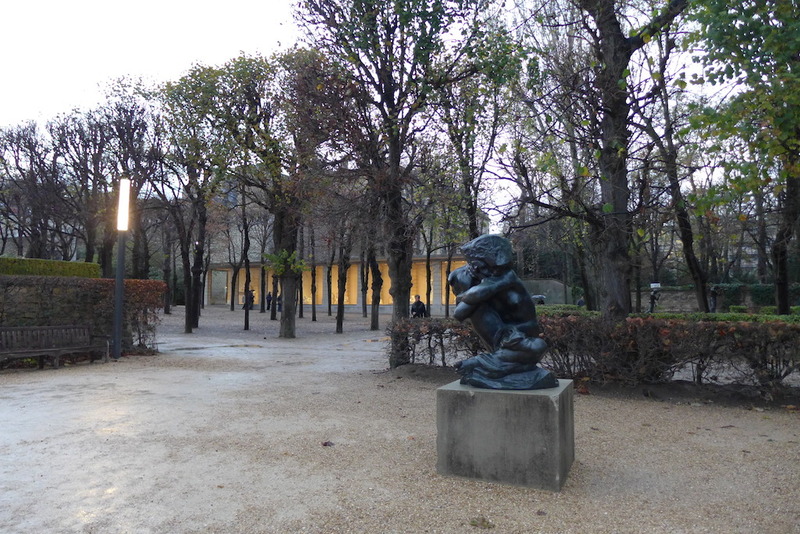 Indeed there is a late night opening on Wednesdays until 8.45pm and a reduced price from 6pm (7€ instead of 10€). Enjoy your visit!